These basic instructions for how to install Lightroom Presets will have you editing in no time! What are Lightroom Presets? For those of you have haven’t use Lightroom presets yet, let me tell you, these are a game changer! They speed up your work flow, create a consistent look to all of your images and allow you to edit huge batches of photos very quickly. Check out this blog post for more detail about using Lightroom Presets. 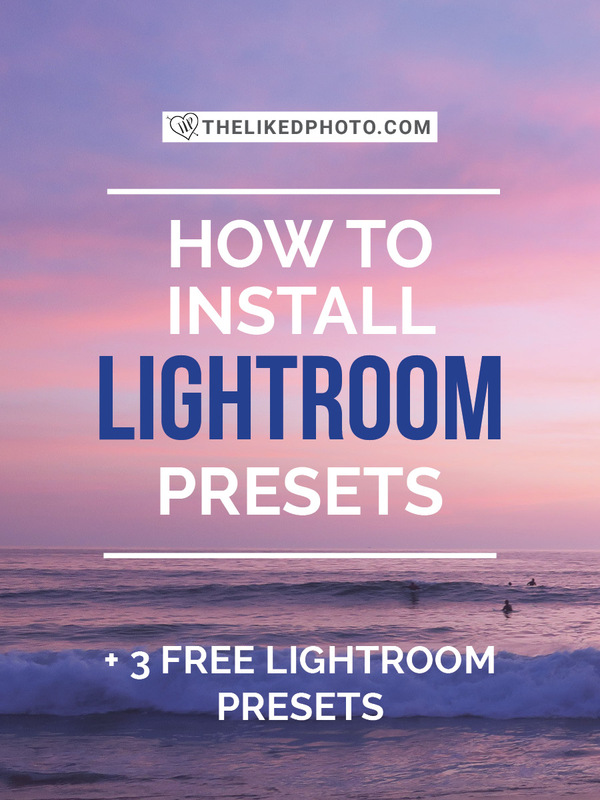 Follow these steps below to learn how to install Lightroom presets in just a few minutes. You can always make quick adjustments to a Lightroom preset. Presets tend to look a little different on each photo depending on the highlights and shadows. If your photo looks too dark, Bump the exposure just a hair and bring it down a bit if your photo looks too bright.